There's a new challenge stating today at Paper Creator. The theme is Flourishing Florals. I created my card using a darling precolored Sassy Cheryl image called April's Umbrella from the Paper Creator store. Silhouette Cameo and cut files from the Silhouette store. Used the flower in the lower right of picture. Punched pink circles for the center. This is precious, Deloris. One of my favorite images from Sassy Cheryl! Fabulous coloring and lovely gatefold design. Thanks so much for joining the April Anything Goes challenge at Catch the Bug! 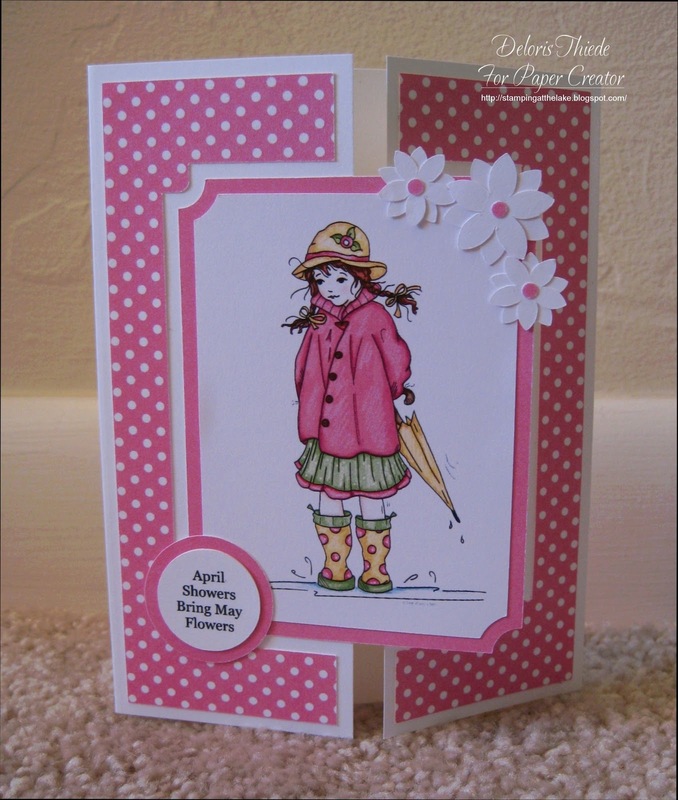 Such a pretty card Deloris, a sweet image and lovely pinks. Love your pretty flower addition too!